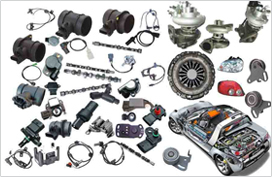 hen you need Dodge, Eunos or Daihatsu spare parts in Sydney, why not call Auto Ice Parts, the leading Dodge, Eunos and Daihatsu car wreckers in Sydney? At our Yennora yard in Sydney, we have an extensive inventory of Eunos, Daihatsu and Dodge spare parts on the shelves, all ready and waiting for you to pick them up. All our recycled parts have undergone extensive checks and all are in good working order. If you want quality parts for your repairs and at the very best price, then you can’t go wrong calling us at Auto Ice Parts, as we are one of the most popular Eunos, Daihatsu and Dodge car wreckers in Sydney. With so many cars coming into our yard every day, it is very unlikely that we won’t have your part on our shelves. As the most reliable Dodge, Eunos and Daihatsu car wreckers in Sydney, our stock is always changing daily, but occasionally we don’t have the part you want on our shelves. However, because of our high turnover, we can pretty much guarantee that it will be here within a few days of your initial request. To check if we have the Dodge, Daihatsu or Eunos spare parts in Sydney you need or to price a reconditioned engine, call Auto Ice Parts (Leading car wreckers/auto parts shops sydney) on 02-9892 1010, 9892 1110 or email mail@aaautoiceparts.com or complete an online enquiry form.